I have had so many direct messages asking me if I could recommend amazing skincare products at affordable prices. There are so many skincare creams and serums that can seriously break the bank and you pay that price in hopes that it works. Advanced Clinicals products retail for $30 and under because they wanted to create amazing skincare that everyone can afford. Their formulas for each product are simply the best! 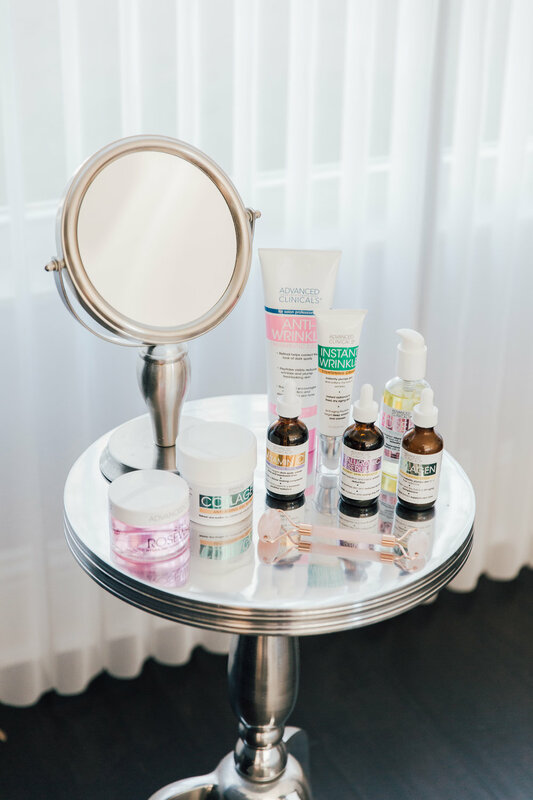 They use powerful high-performance skincare ingredients like Retinol, Activated Charcoal, Vitamin C, Coconut Oil and much more! Also did I mention that these are fast acting ingredients which means you will see results a lot faster. Imagine my excitement when I received this package of goodies especially the size of each bottle was just amazing! They will last me for such a long time. Now I have even more amazing news for you all because I love you all so much! I have a discount code for you to use on their website which is linked in the button tab below. You can use my code NATALIE30 for 30% off your order! How amazing is that! Also I am having a giveaway as well on my Instagram post and you will win Advanced Clinical goodies! Head over to my Instagram page to follow all the rules for your chance to win!! 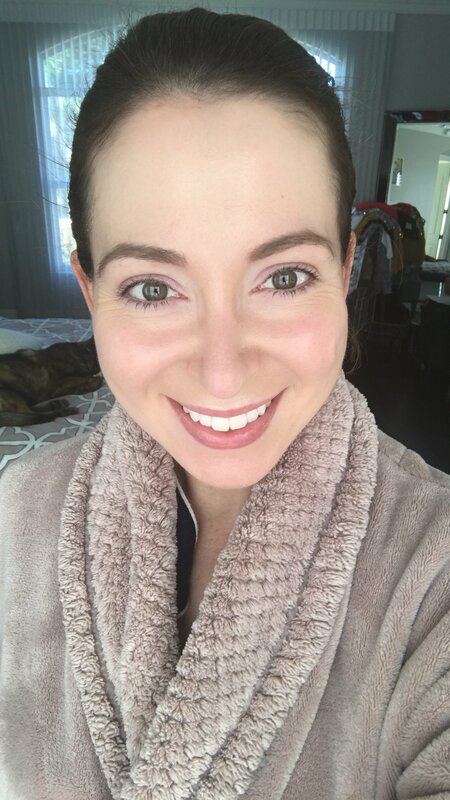 Going to talk about which products are my absolute favorite and also how I added them to my skincare routine. Scroll down to see which are my favorites and how I use them! 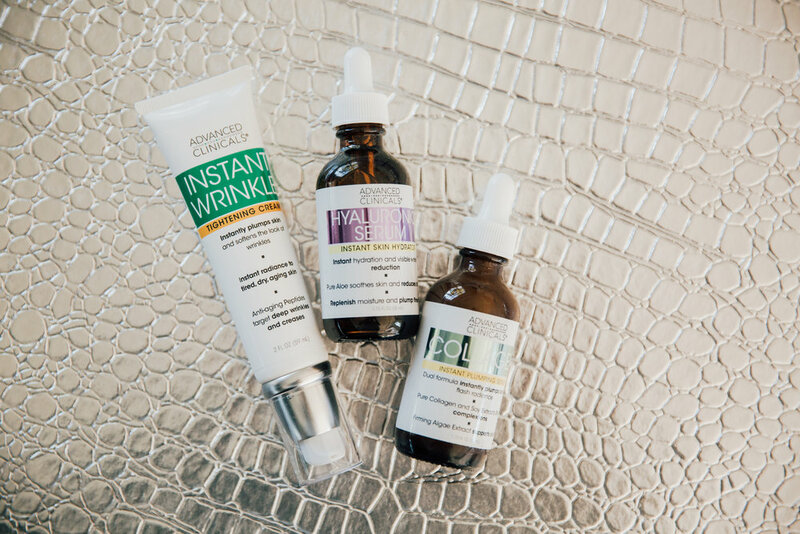 My three favorite Serums from Advanced Clinicals are the Vitamin C, Hyaluronic Acid, and Collagen Serum. These will forever be my three favorites since they work wonders! Love using the Vitamin C in the mornings only and it smells so good!! Helps to brighten my complexion and with any dark spots my face. The Hyaluronic and Collagen Serums I use both for mornings and nights. They help with wrinkles and giving that all over glow. These three below are my favorites to use in my night time routine as well as in the mornings. Love to mix the Hyaluronic and Collagen Serums together. It also makes an amazing moisturizer before applying makeup which I love to do! The Instant Wrinkle Tightening Cream is applied after and it seriously leaves the skin so flawless and smooth! One of my absolute favorite products of theirs. Now these three products I love to use on my body. Especially the Anti-Wrinkle cream and Rosehip Oil which I mix together and apply to my legs after I shave. Leaves the skin so soft and smooth and I like to focus on my knees since they tend to show signs of aging as we get older. The Manuka Honey I love to use on all the dry parts of my body and it smells amazing! 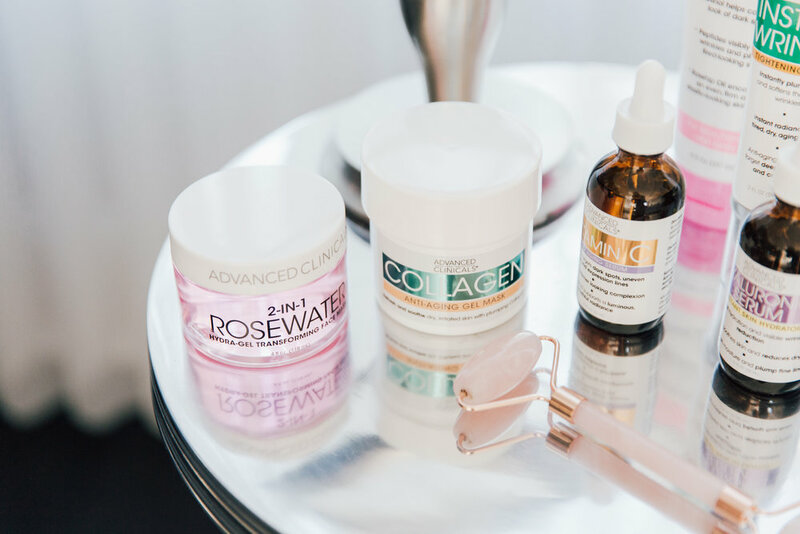 Twice a week I love to use the RoseWater Gel Mask and Also the Collagen Gel Mask. It gives me that extra boost of hydration that I need. Usually I do this right after my toner is applied and then I follow it with my serums and moisturizer. So I have been loving my results and I am going to keep on using my products since they are so amazing!! Don’t forget to shop these at Advanced Clinicals which I have linked below. Also you can use my code NATALIE30 for 30% off!